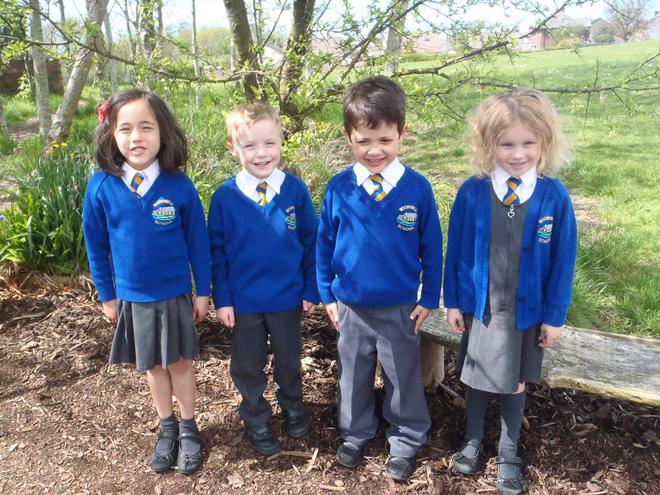 We are very proud of the appearance of the children at Bookwell and promote our high expectations at all times. dark tights for girls, plain black or dark brown shoes. Children need a white crew-neck T-shirt and navy blue shorts for PE along with a pair of trainers. Warmer clothing such as joggers and hoodies can be worn for outdoor PE. Trainers are needed for use on the MUGA. Items of jewellery are not allowed in school, apart from a watch. For safety reasons we do not allow children to wear earrings for school, however if your child has newly pierced ears and studs are being worn until they are healed, they must be removed for school after the initial 6-8 week period. Children wearing new earrings will not be permitted to take part in PE lessons for their own safety. If you must allow your child to have their ears pierced, please have this done at the start of the summer holiday. Nail varnish is not allowed in school. 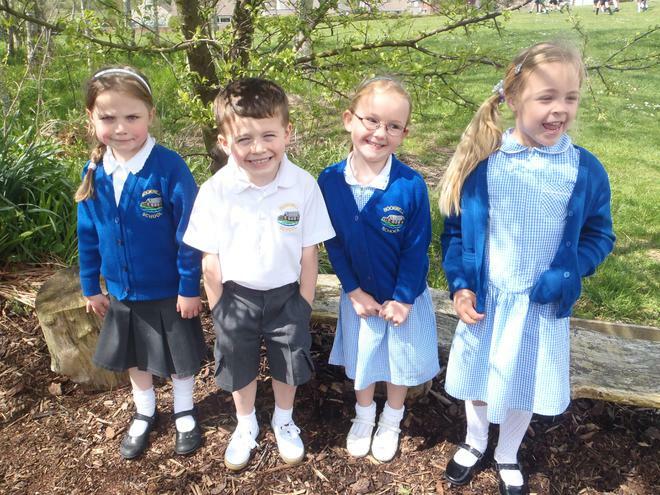 For safety reason we ask that children are able to tie back long hair securely for PE lessons and practical activities. Hair pieces and extensions should not be worn in school. Orders can be returned to the school office, or alternatively you can order on-line, direct from our suppliers Identity using the following website.